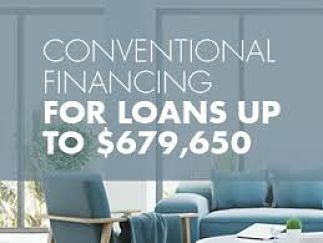 10% Down Mortgages Available to $679,650! The 10% down loan will be about .25% higher in rate than the 80% but that’s a good deal considering there is no monthly mortgage insurance. Plus the 10% down options in general on these loan amounts are few and far between in our industry. Another advantage of this program is the underwriting. Typically, jumbo underwriting is very tough and can be picky and irritating to the borrowers. This program allows DU conforming underwriting which is very straight forward. If you have any questions feel free to give us a call at 434-293-5200 or shoot me an email at pmahone@mahonemortgage.com. Interest Rate Prediction for the Next 6 Months! No Down Payment Mortgage Plus Freddie Mac’s New HomeOne Program! Mahone Mortgage Celebrates 10 year Anniversary!